Legend of Zelda: Ocarina of Time is perhaps one of the best and critically-acclaimed games from the Hyrule series Legend of Zelda. The classic game was released for the Nintendo 64 back in 1996 and also saw a remake for the Nintendo 3DS in 2011. The game was truly ahead of its time when it was released. 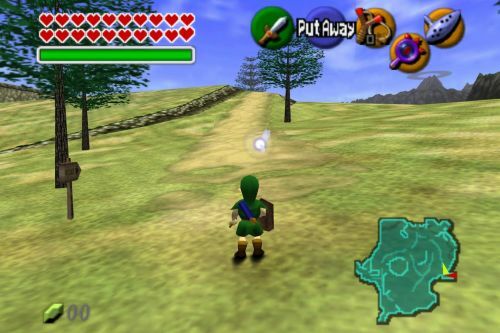 Thanks to a group of modders, Ocarina of Time is now playable online. The project, known as Hylian Modding has been working on making an online version of the classic and they have seen some successful results. Although there is no PvP (players cannot battle each other), up to 15 players can join a server to play the adventure co-op. This is not a Nintendo official release but rather a fan project. You won't be able to play the game on an N64 (you wouldn't want to, it's outdated anyway) but you can run the game without any issues on your PC and server joining also happens on the PC. BSoD Gaming did a neat video featuring the online mod highlights and explaining about the project. In the video, two players are seen venturing across Hyrule, completing quests and unlocking secret doors together. It's pretty neat if you are a Legend of Zelda veteran and you want to show someone who hasn't played it before how amazing the game is. Or if you just enjoy playing online. The project is still in development and there are many more features to be added. The developers of the mod have a Twitch channel where you can follow the updates and get a real-time look at how far the mod is going. The team will enable 15 player PvE as well as PvP features soon, but it is a pretty complicated task without officially working on a Nintendo platform. Is Red Dead Online Promoting Micro-Transactions?